Kamala was simply dressed in a pink silk sari, fastened on the right shoulder with the diamond coronet which Tara had lately given her. The thick soft tresses of her long jet-black hair were wreathed with white roses, and she wore in it the ruby rose, Tara’s first gift. Hindupore, SM Mitra. In the 1900s it must have seemed like the sun would never set on Empire judging by two novels that deal with the coming together of east and west by way of inter-racial romances. 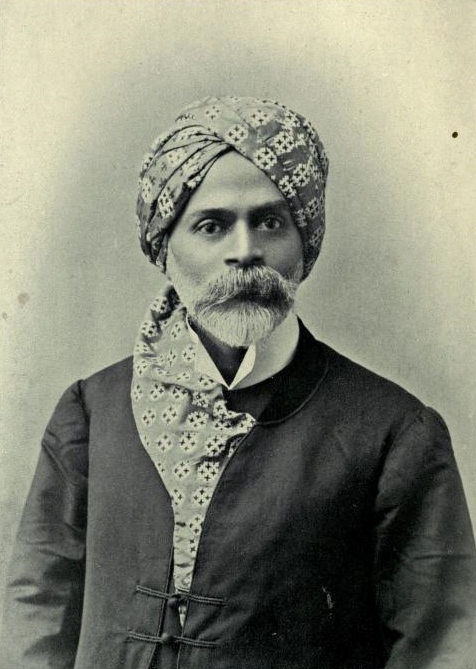 In Lilamani the British are the civilizing influence, in Hindupore, given the title, the Hindus. While I haven’t read the novel in its entirety – tbh I didn’t care for either novel – the descriptions of the clothes can be puzzling. Some of these are unclear (a teagown and a sari?). But it is likely a lot of Western dress elements are included to make it understandable to the British public at whom the book is aimed. The book includes a photograph of the author and in a way his rather unusual attire reflects the coming together of some of the themes of his book. There is the starched collar. There is the safa which is also cravat like. The coat has Chinese influences in the frog closures – the book has passages from Okakura’s Ideals of the East and discusses Pan-Asianism. I had waited for an opportunity, ever since I first set foot in England, and felt that cold aloofness which is ladled out with spoonfuls of condescension to those like me who do not belong to a pure white race. Intellectually I felt I belonged to the West, emotionally to the East. I Go West, DF Karaka. 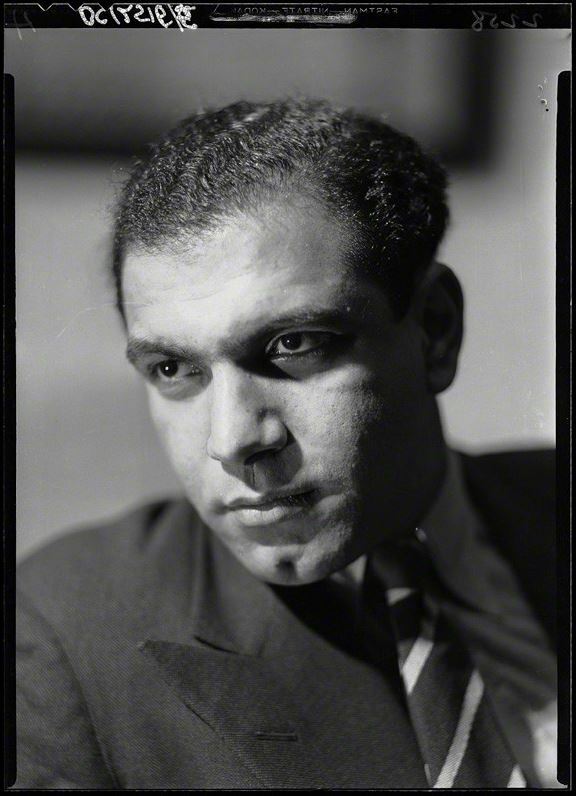 DF Karaka’s 1938 book I Go West is an account of his student life in the UK – a time when he became the first South Asian president of the Oxford Union, wore Savile Row suits, gambled away a good deal of money and wrote about the colour bar – before he returned home in 1938. He subsequently covered the War and then went on to found Current magazine after the War. Not exactly a fashion post (though Savile Row…) but part of a few books and authors of early 20th century India that I was looking at this week. Unlike Hindupore, the book is written for Indians familiar with English. Extract from DF Karaka’s Chungking Diary (1942), an account of the Chinese wartime experience contrasted with the Indian situation. 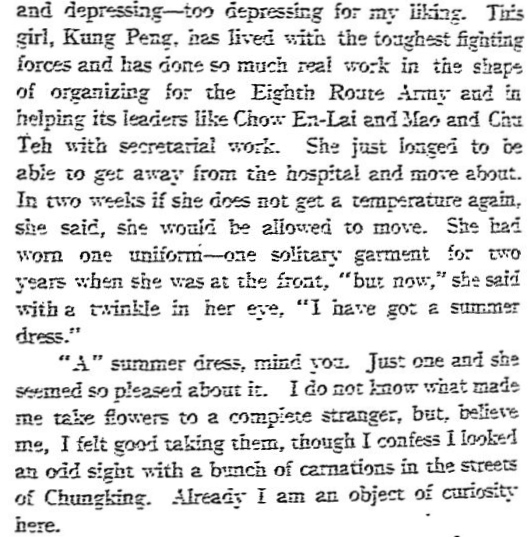 Karaka records that Kung Peng who had been in the hospital for five months after being with the Eighth Army was full of vitality, spoke English well and that she was attempting a translation of Grapes of Wrath during her hospital stay: Elsewhere he records the dress of Chinese women – in Chungking* some women are dressed in sombre dark blue and have black shiny hair and a high colour in their cheeks (very similar to Marseilles women according to Karaka) , others are rouged modern Chinese girls wearing an adaptation of the traditional gown and high heeled slippers. *now Chongqing, in 1942 the city was the base of the Kuomintang. 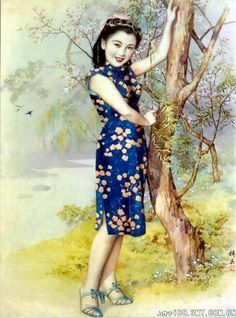 This entry was posted in 1910s, 1940s, Authors, British Raj, Chinese, Colonial, Early 20th Century, fashion, History, India, Indian Authors, Indian Dress, Indian fashion, Indian Literature, Indian men, Literature, Men, Photography, Studio Portraits, Vintage Books, Vintage Dress, vintage fashion, Vintage Men and tagged 1900s, 1900s sari, Chungking, Chungking Diaries, DF Karaka, Hindupore, I Go West, safa, sari, Savile Row, SM Mitra. Bookmark the permalink.